I have some Hit Year staggers. 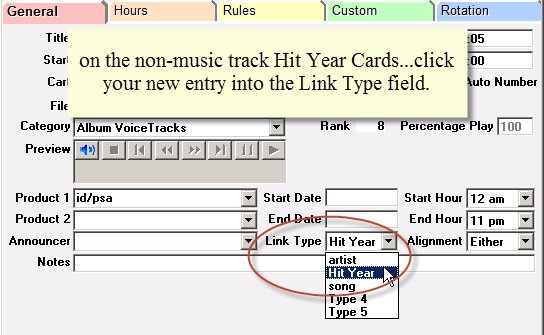 I want to link them to my songs so the correct Hit Year stagger will be scheduled before a song. 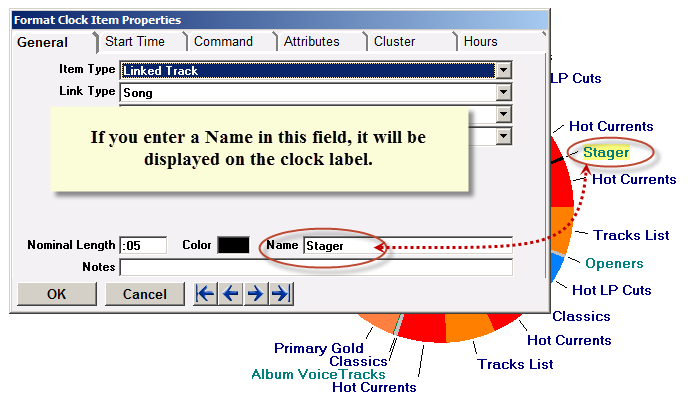 A 1999 song should have a "1999" stagger before it; a 2003 song should have a "2003" stagger before it. How do i get this done? I'm assuming you already know how to link the tracks to the songs. If not, there's a video on the Music 1 website showing how it's done. To do the type of linking you need there are a few set-up steps. First, you need to create a Link Type. Then you apply that type to the tracks. 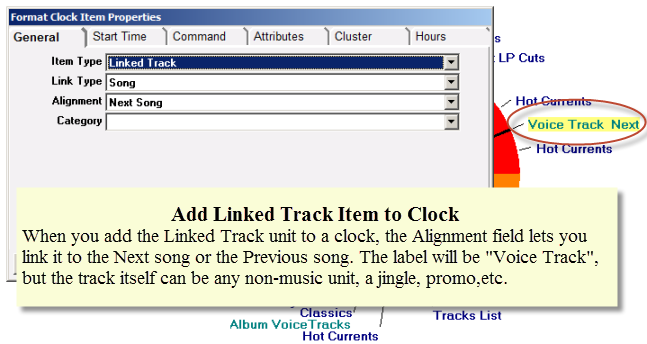 And finally after you've added the Linked Track unit to a format clock, you select your Link Type. Here are some screen shots showing what to do.